At TNW Conference, our speakers are tech industry experts talking to thousands of attendees. It’s great for getting those big ideas out there but what if you want to dig a little deeper into a topic? If you’ve always dreamed of being a speaker at TNW Conference but want to do it on a more intimate level — we’ve got you covered. Start an in-depth discussion and speak to a small crowd by joining our Engage sessions. We’re looking for innovative thought leaders to host their own roundtable. Our Engage sessions let you speak to nine attendees – most of whom industry decision-makers – on a topic of your choosing. 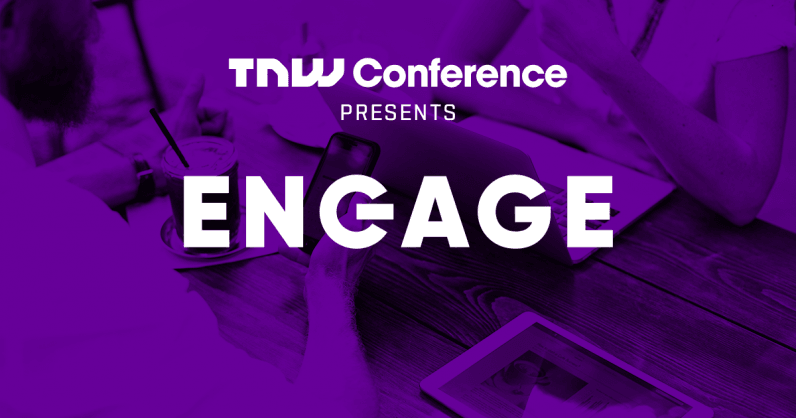 Share your wealth of knowledge, gain exposure, and get a free ticket to TNW Conference this May. Yeah. We’re inviting cool leaders who are at the forefront of technological innovation to join our Engage sessions. If you have something interesting to say, apply now. If you’re selected, you’ll also be able to bring a guest for free. By sharing your knowledge and ideas, you can make lasting connections with businesses and investors — but the greatest advantage is the opportunity to hear the insights of your audience. It’s up to you to attract the right people to your session. The best way to do that is to send in a great application. There’s no exact formula — an interesting speaker comes from all walks of life. That being said, there are a few ground rules. If you’re interested, send in your application. We’re super excited to engage with interesting speakers, and let the world do the same. We’ll review your application and get back to you as soon as we can.